As the sound of Pomp and Circumstance permeated the gymnasium of Manor College on Thursday, May 17th, over 100 students processed down the aisle of the auditorium, beaming and waving to their families and friends on their way to becoming graduates, earning an Associate in Art and/or Science degree. 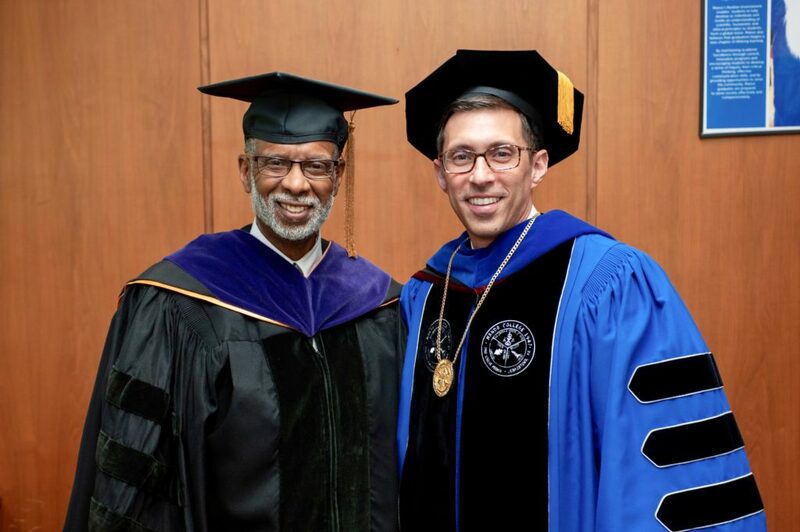 Manor College welcomed Pennsylvania State Senator, Art Haywood, as the 2018 Commencement Speaker. 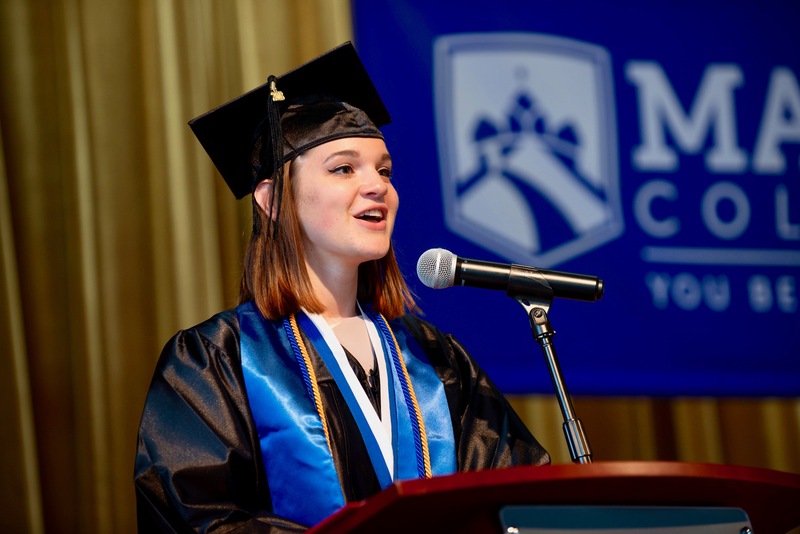 Brenda Roselle, a Trustee member of the Manor College Board of Trustees served as the Master of Ceremonies, while Marta J. Penjalskyj, a graduating member of the Class of 2018, delivered an inspirational and heartfelt commencement oration. Penkalskyj, a Philadelphia native, Ukrainian-American, who graduated with a higher than 4.0 GPA, began her address with acknowledging the many accomplishments of the Class of 2018. She said, “A college degree is more than a decorative certificate. It’s enables us to challenge the complexities of the world and empowers us to influence change.” She gave thanks to all the administrators, faculty and staff who have had an impact on her and her classmates. Penkalskyj concluded her remarks by challenging her fellow graduates to never dismiss their dreams, but to always pursue them with vigor. Penkalskyj will be continuing her studies at Ukrainian Catholic University in Lviv, Ukraine where she will be studying history, with a focus on Central-Eastern European history. Haywood spoke to the buzzing crowd of 500+ dedicated family, friends, faculty, administrators and community members and discussed his experience being a young graduate and choosing what to do next with his life. He stressed the importance of choosing one’s own path. Haywood said, “Make choices that are consistent to who you are.” He added, “Make a decision grounded in your reality.” Haywood ended his address by explaining about the importance of remaining strong in trying times. 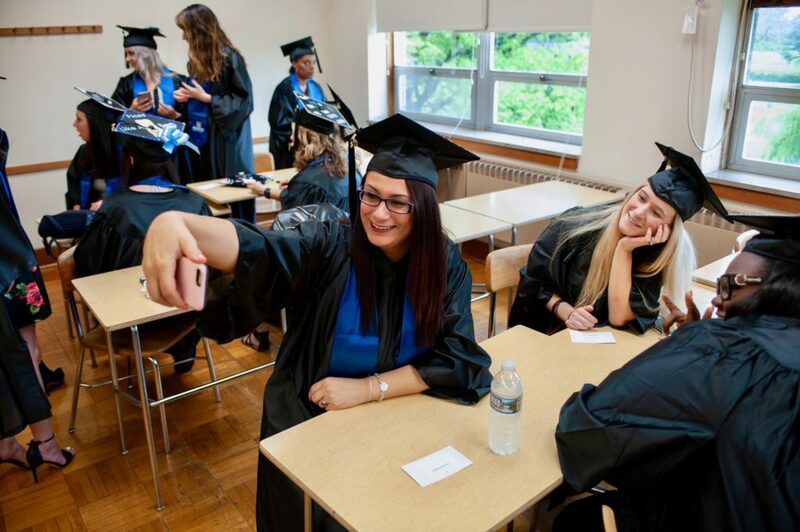 In previous years, Manor College graduates were forced to seek a bachelor’s degree elsewhere because the terminal degree offered by the College was associate. As of early May, Manor College announced that starting in the Fall, they will be offering 14 brand new bachelor’s degrees. These new bachelor’s degrees will give alumni and current students the opportunity to stay and complete their degree at Manor. In an effort to make obtaining a bachelor’s degree as affordable as possible, the College has rolled out a 20% off tuition discount called The Basil Guarantee. 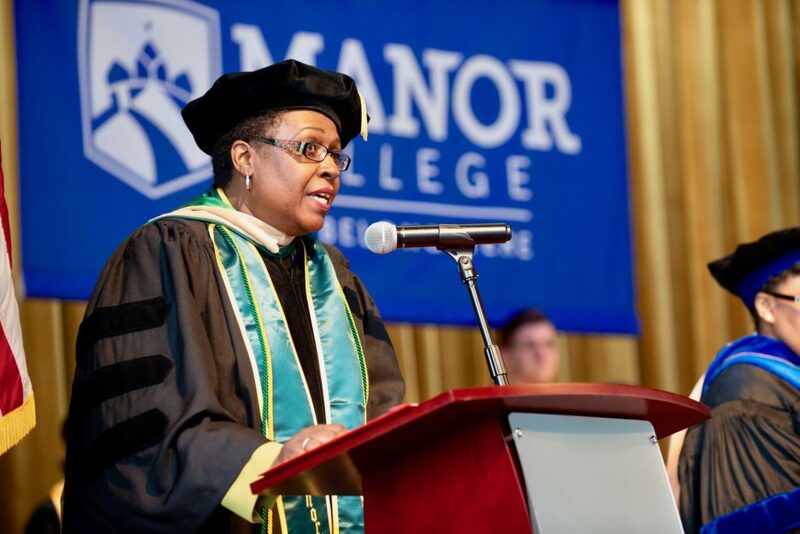 With The Basil Guarantee, students who enroll in a bachelor’s degree at Manor College are eligible to receive 20% discount off tuition for the final two years (junior/senior year) of the program. The Basil Guarantee is a limited time offer that is available for all students who enroll (full-time or part-time) in the program between Fall 2018 and Spring 2020. 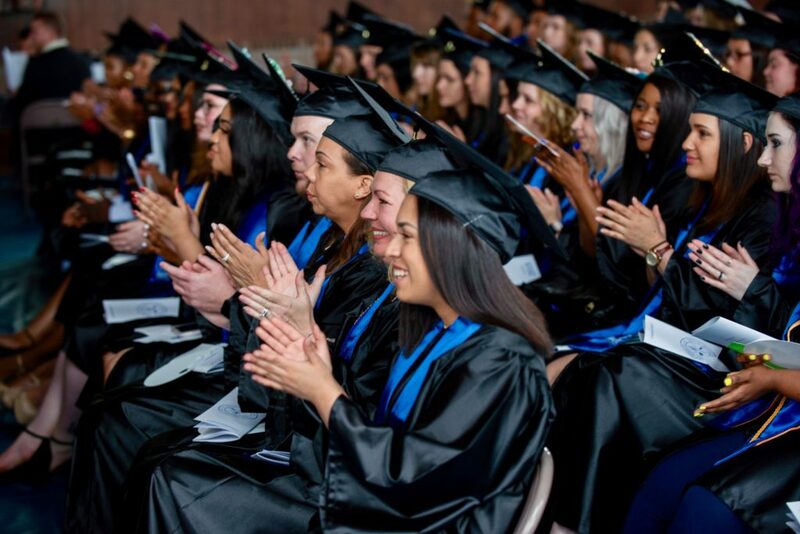 Manor College is extremely proud of each graduate and looks forward to serving students as they complete Associate and Bachelor’s degrees.